(Newser) – Stock indexes ended mostly lower Wednesday on Wall Street in a quiet day of trading ahead of the Thanksgiving holiday, the AP reports. Technology companies and banks finished broadly lower, though Apple managed to gain 1%. Energy companies rose as oil prices jumped on reports OPEC might extend production cuts. Newfield Exploration gained 1.6%. Farm equipment maker Deere rose 4.3% after reporting a strong quarter. The Standard & Poor's 500 index fell almost 2 points, or 0.1%, to 2,597. 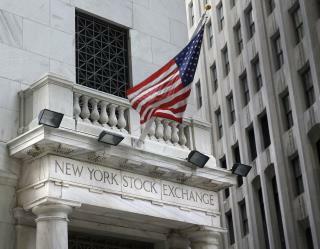 The Dow Jones industrial average edged down 64 points, or 0.3%, to 23,526. The Nasdaq added 4 points, or 0.1%, to 6,867. Bond prices rose. The yield on the 10-year Treasury fell to 2.32%. Irrelevant. It was a low volume, low participation pre holiday trading day. The fun starts in December when the pressure to take profits before the end of the year gains momentum.